Dezeen promotion: artworks by Van Gogh and the pattern of natural stone are among the references incorporated into Forbo's latest range of flocked floor coverings. The Flotex collection is comprised of seven design categories, each of which draw reference from different patterns and imagery. This includes Flotex Vision, which offers over 500 printed designs based on the rich-hued floral and graphic patterns. The company also produces a Flotex Designer collection, which includes paintings by Dutch artist Vincent Van Gogh. 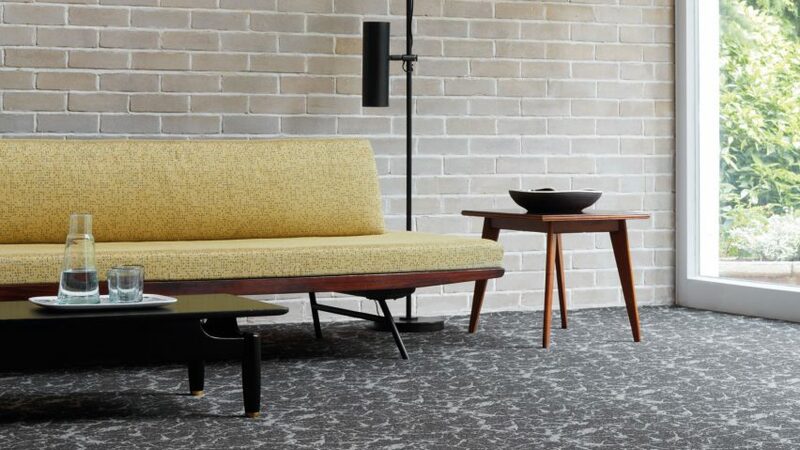 As part of the Designer range the Flotex by Tibor collection, which is named after the British textile designer Tibor Reich, features patterns that mimic flecked quartz and onyx stone. According to Forbo, the vivid shades in the digitally printed designs – which have above 70 million nylon fibres per square metre – are able to be achieved through a state-of-the-art digital printing technology that it has developed in its factories. More understated ranges include Flotex Naturals, which is designed to emulate the appearance of natural wooden floorboards, or the Planks range that aims to create a more pared-back aesthetic. In total there are over 500 designs available for buyers to choose from. For spaces larger than 60 square metres Forbo can also create bespoke designs. Crafted with noise-control and slip resistant qualities, flocked flooring is intended to be used in offices, education, retail, leisure and hospitality spaces. Forbo has 15 manufacturing sites worldwide with its Flotex factory based in the English town of Ripley, Derbyshire. In the UK it has a showroom in Clerkenwell. The brand has previously collaborated with Italian design studio Sottsass Associate to create a flocked flooring collection inspired by bacteria, wool and terrazzo. It is also launching a collaboration with French designer Philippe Starck in September 2018. To find out more about their Flotex collection, visit their website.